The thing about lists in fantasy football is if you are constantly paying attention, your qualifying lists will reflect injuries, suspensions and roster movement. My personal reserve is just that and will change with over time. WRs list as of June 28th, 2014 shows the news about Cleveland’s Josh Gordon getting his suspension cut to four games and it goes off the ongoing assumption that Justin Blackmon will be left off the Jaguars’ roster for 2014. This is a PPR (Points per reception) outlook without kick and punt returns factored in. I have done my best to make note of those players that will increase their value with return yards. Beasley is to Danny Amedola, what Amendola is to Wes Welker. Cole is a durable, sure handed slot receiver that only lacks explosivity off the grab. He will compete with Dwayne Harris for targets and the WR3 spot throughout the season. Martin will make impact as a returner, this being his main role with the Texans. Fitzpatrick will find Martin in the slot, it will just be a matter if Keshawn can figure out his ball security issues before the season starts. Martin is lightning quick and is fearless in traffic. Simpson’s great start to 2013 ended in a lull (56 Yds in last three games). Patterson’s locking down of the two spot in Minny should spell shrinkage for Jerome, who for 6’2’’, gets very little consideration in the red zone. His increase of playing time in 2013 is a good sign that the staff in Kansas City want Hemingway to stick around. Junior’s size and route management should make him a favorite to beat out new CFL addition Weston Dressler for the WR3 spot with the Chiefs. Not a sizable impact, but Hemingway will find targets. Arguably a bust for a third round pick, Jernigan has yet to really burst onto the scene. The Giants favorable schedule and his speed should bring the WR4 something slightly better than last year’s pitiful 29-329-2 season. Stedman had a handful of solid games to end 2013. Fairly efficient, Bailey will make himself known when he gets back from a four game suspension for PEDs. The St. Louis offense will use Bailey as a wheel/short route guy who can spin-off defenders and find space. Brian Quick and Kenny Britt will get more chances to work themselves into the game plan, but Bailey’s upside should nail down a consistent role for the remaining twelve games. Holmes frame and enormous catch radius makes him one to watch if he can relieve himself from a very crowded receiving corps. At the moment, he projects as the 3 or 4 in an offense where the extra targets remain to be seen. We’ll see how Schaub runs the show and how they rotate their talented receivers throughout training camp. The ideal waterbug-type receiver, made for the slot, Royal can get hot in a hurry. Being so mercurial, Eddie is a roll of the dice, week-to-week. A heavy Tight End offense provides a lot of short, agile routes that will garner the Virginia Tech alum looks at the end zone when defenses are queueing on Gates and Green. Yes, there will be weeks where he can be an incredible flex option, but let’s hope your roster is set up well enough you don’t have to rely on Royal and the guess-who Chargers offense. Since his 1,300 yard season in ‘09, he’s had an uphill battle against injuries and utilization. The thought of a 1,000 yard season seems laughable now, especially with the offense Pete Carroll and Russell Wilson run in Seattle. His ACL tear in ‘13 cut his season short and let the league know how little the ‘Hawks depend on this guy as well as prime Jermaine Kearse for an extended role. Look for either Kevin Norwood or Paul Richardson to supplant him as the season rolls on. For a fourth round pick, the Steelers landed a player that has a tremendously high ceiling that could be a huge threat on the outside. At 6’4, 215 lbs, Bryant’s size and strength would make him a reasonable candidate to step into a huge role if Brown, Wheaton or Moore go down. Martavis’ main asset is that he can use this enormous frame to shield and snag jump balls, making him an immediate red zone target for Big Ben. Look for the Steelers to ease him into said red zone and vertical sets fairly quickly. Last chance for the 2012 second round pick. Probably one of the most inconsistent players in the game. This year’s training camp is ‘Do-or-die’ for Hill, who could move down (or off) the depth chart and be replaced by rookies Shaq Evans or Quincy Enunwa. ESPN’s Rich Cimini was quoted saying “Patience is thin”, referring to the organization. Hill will more than likely get one more year due to his draft spot, size and speed. Avery was a huge disappointment in 2013 considering his ‘12 numbers. Should strictly be a slot receiver. He excels at inside and wheel routes where he can use his agility to ignite the passing game against bigger safeties and backpedaling linebackers. This was on full display when he torched Philadelphia for 141 yards in week three. The majority of the year, he evaporated into thin air and struggled with dropping the ball. If the Chiefs decide to open up the offense, look for Avery to collect much better numbers. A bust for Carolina, could find his best self with the Pats, who have a track record of finding a way to get stats out of damaged goods. LaFell will make the roster, but how many targets are there between Amendola, Edelman and Dobson? Brandon can run slot patterns, but his size and skill set will push him wide most of the time. Don’t expect anything more than WR4 or 5 numbers unless injuries accrue. Currently number one on the Panthers’ WR roster chart, old man Cotchery (32) will serve as mentor to newly drafted and soon to be ace Kelvin Benjamin. Jerricho had a career high ten touchdowns last year, so please don’t think he’s completely done. Cotchery should be solid and provide a solid target to deflect coverage from Benjamin as he gains control of the target count. Will be an incredibly valuable and experienced asset on the Steelers’ roster. A healthy Moore will mentor Markus Wheaton and consistently make chaos for opposing secondaries. His speed and acceleration will open up routes quicker than most slots in the game and with a good showing at camp, he could find himself on the field quite a bit. Brown’s rookie year yielded solid gains after injuries found the birds early. Marlon will be penciled in as the number three for now after his lucrative 2013 (7 TDs in 49 Rec.) Dennis Pitta’s return will cinch any reception growth on the stat sheet, but there is no reason why he can’t find a way to be productive with what Flacco throws his way. Landry will undoubtedly be the man in Miami after Brian Hartline departs. His draft spot will tell you that the Dolphins think a lot of Jarvis, who might be the toughest slot receiver I have ever seen in college. This guy is fearless and has no qualms about getting laid out as long as the catch is made. The casualty here is Rishard Matthews, who looked to have the three spot in Miami until the former LSU Tiger was drafted. You want a great route runner with a solid work ethic? Look for Landry to make noise this summer in camp and take advantage of a weak WR SOS. Chris took a step back in ‘13 and losing Sam Bradford didn’t help. Givens’ year will hinge on his Quarterback finding the right protection and targeting the downfield specialist. Kenny Britt could put the heat on Givens’ make-or-break year. A big deal with the ‘Skins turned out to be an expensive slot receiver pickup. DeSean Jackson came in a month after and that was that. Gruden will fully utilize Roberts in the majority of his passing sets, he will mop up extra targets from Jackson and Garcon. His punt returning skills will garner owners more points in some leagues. After a bad attitude on and off the field surfaced, the rising star Williams was traded for virtually nothing. His hamstring/stab wound recovery is almost complete and should not be an issue during camp with the Bills. A redzone target extraordinaire at times, Williams will find himself as the three behind Sammy Watkins and Robert Woods. A last-ditch effort to shore up the WR unit in Cleveland, Austin still has talent, but his injury history and age pose a major concern to his role in this offense. Josh Gordon’s return will diminish Austin’s numbers, but not displace him completely. Mr. Kerley was about the most consistent thing Geno Smith had going in a dismal-at-best offense last year. Eric Decker, Stephen Hill and some rookies will take up some targets, but should take pressure off Kerley, who could be a WR 5 at best and could make a spot start in fantasy leagues per injury or your terrible drafting. Hawkins was very solid in 2012. 2013 with the Bengals was cut short by injury. Look for Hawkins to be uber-effective in the slot, especially after Josh Gordon returns. His surrounding talent will allow Hawkins to do what he does best in the seam and move the chains. The 6-3 Temple alum refuses to slide down the roster into oblivion. His sophomore season was solid with 60 catches, 888 yards and 4 TDs, which is excellent when you take into account the less than uneven QB play in Oak-town. Matt Schaub’s signing should solidify the receiving corps, but James Jones and Denarius Moore will find the majority of targets opposite Streater. If you’re looking a for a high ceiling, third year WR, this might be your guy if either Moore or Jones go down. Oakland WR coach Ted Gilmore will have his hands full with another very solid roster to manage. Moore’s ‘Meh’ third year will not do him any favors, considering his surrounding talent. If Schaub wants to go deep, Moore has shown he’ll be the guy, averaging 18.7 yards a reception. Look for Moore to take a back seat to newly acquired James Jones. 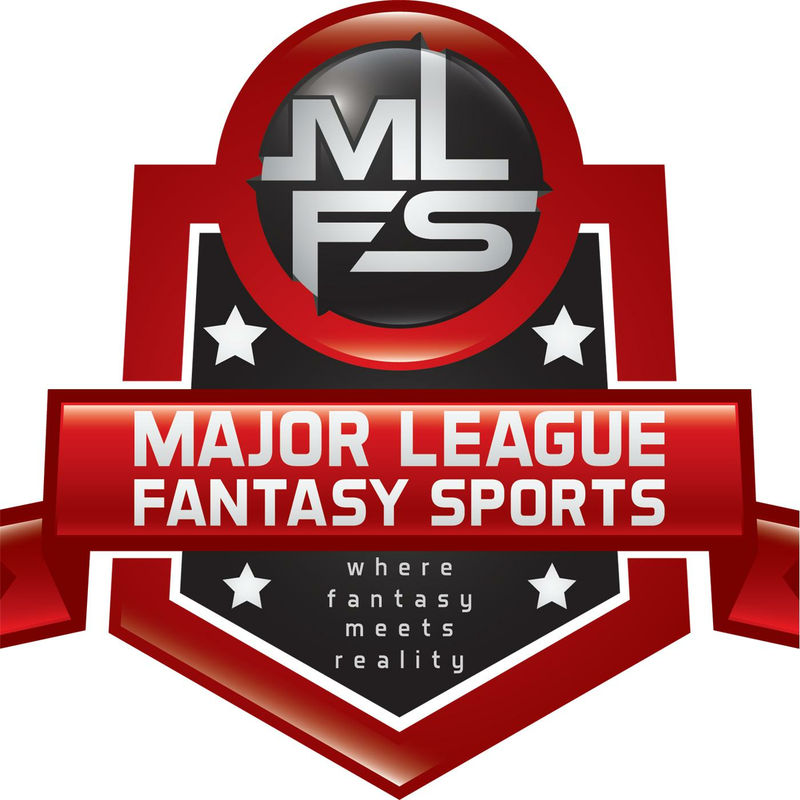 *KR/PR* yardage is not reflected on these rankings, but you’ll find MajorLeagueFantasySports.com and many leagues out there make most of this stat in their leagues. We will be providing rankings on the top 20 Kick Returners, and top 20 Punt Returners in the coming weeks. Come back next week for 2/4 of my top 100. Thank you for reading.